They didn’t irritate my nose or upper lip when using, like normal tissues sometimes do after excessive use. 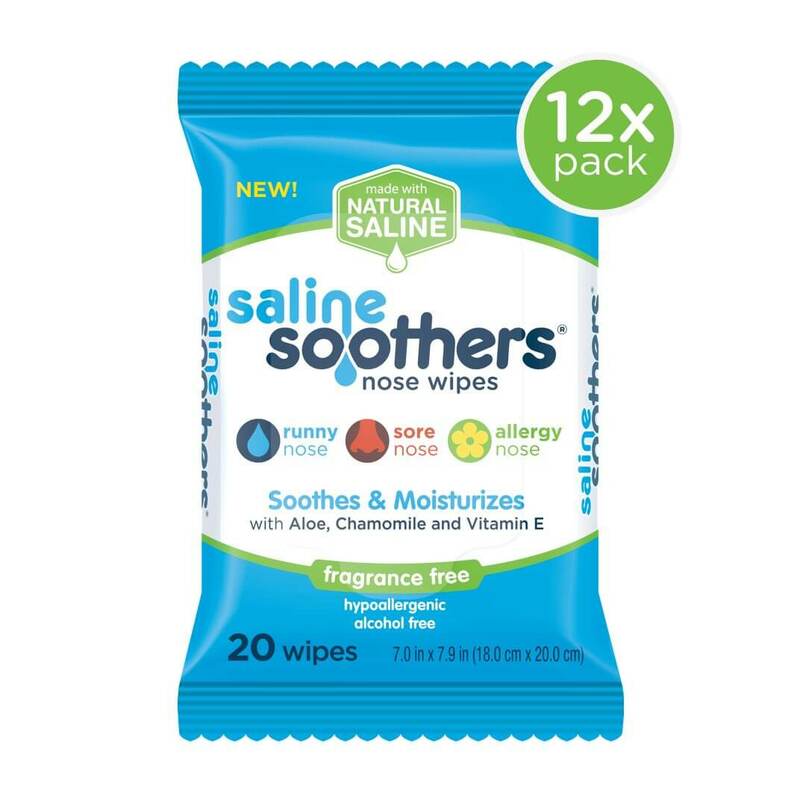 Like Boogie Wipes, I love that the Saline Soothers have natural saline that help soothe the soreness and irritation that you get in your nose from a cold or allergies. I suffer from allergies and runny nose year round so it’s nice to have something that is soothing. I love how they feel when wiping my nose. I’ve been so sick lately and my nose is so irritated. They are soft and moist. This could not have come at a better time. Everyone in the house has been sneezy and runny…and I’ve had to steal my 13-month old’s Boogie Wipes! These have helped out my nose tremendously. As much as the unscented wipes are great, can you make adult grape ones,? Haha – in all seriousness, these really help out with the dryness of my nose when I get too congested. I don’t really love this product. It will come in handy when I have a cold,but it’s not something that I would make a point of buying. They’re super handy,and there aren’t many options that don’t contain tons of ingredients I don’t want to use. I’ve found countless uses for them since I’ve carried them in my car (especially during cold season!) I love having a practical saline wipe for me so I can stop grabbing keeping baby wipes around. They are soft and don’t irritate my sore nose. I like that they aren’t scented like other ones that we love. I feel like an adult using and adult product.